Traditional in design and modest in scale, the elegant Mayville Collection takes its design inspiration from classic Louis Philippe styling. 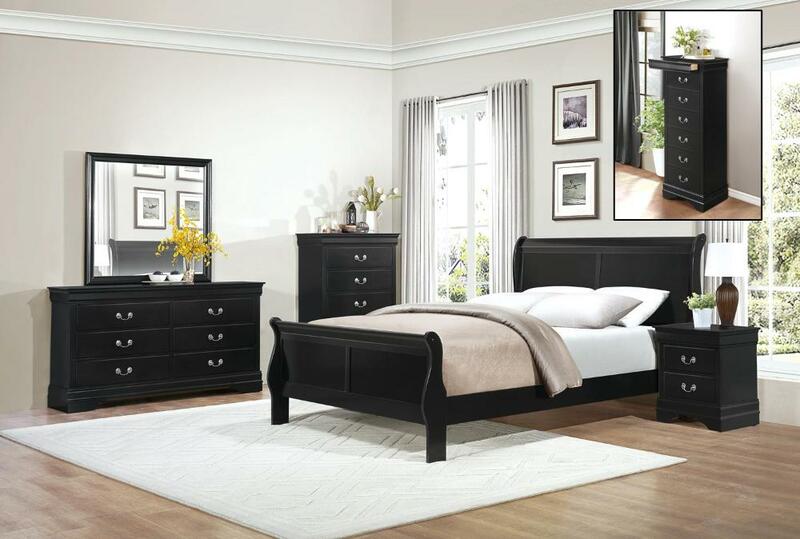 Featuring a burnished brown cherry finish and all of the traditional flare unique to the style, antiqued metal bale hardware and distinct framing, this collection is a perfect addition to your traditional bedroom. Also available in white, black and grey finish. 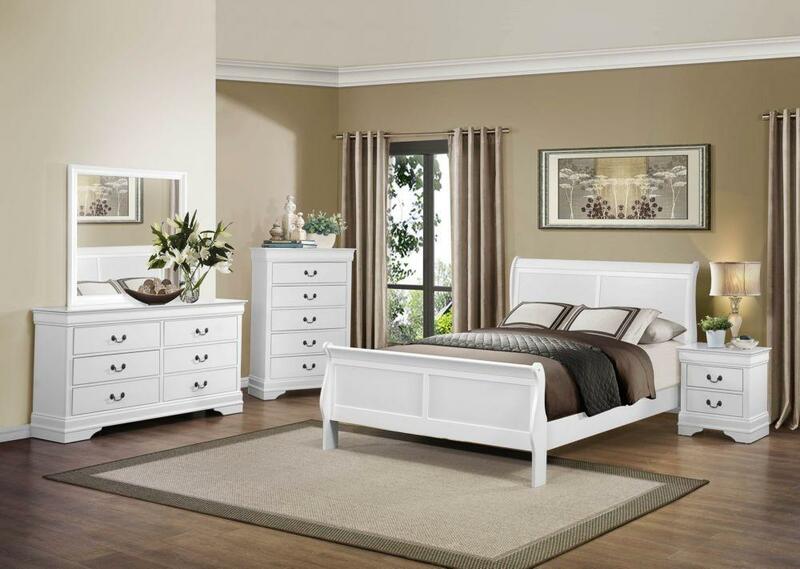 FEATURES: Burnished Brown Cherry / White / Black / Grey Finish ~ Traditional / Louis Philippe Style ~ Metal Bale Hardware ~ Metal Glide.